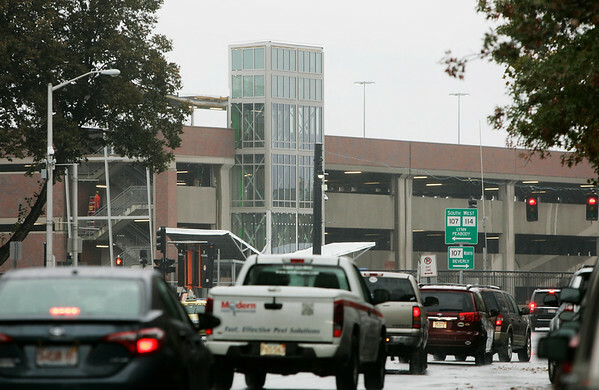 With the increasing traffic volume in Downtown Salem as Halloween approaches, the Salem MBTA Parking Garage is set to open on Friday just in time for the busiest week of the year in the Witch City. DAVID LE/Staff photo. 10/22/14.